I was on Princess Cruises’ Regal Princess recently for a two-day cruise out of Fort Lauderdale. 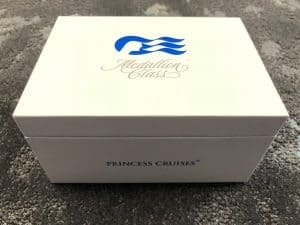 The November 13 sailing was the public debut of Princess’ new Ocean Medallion technology. 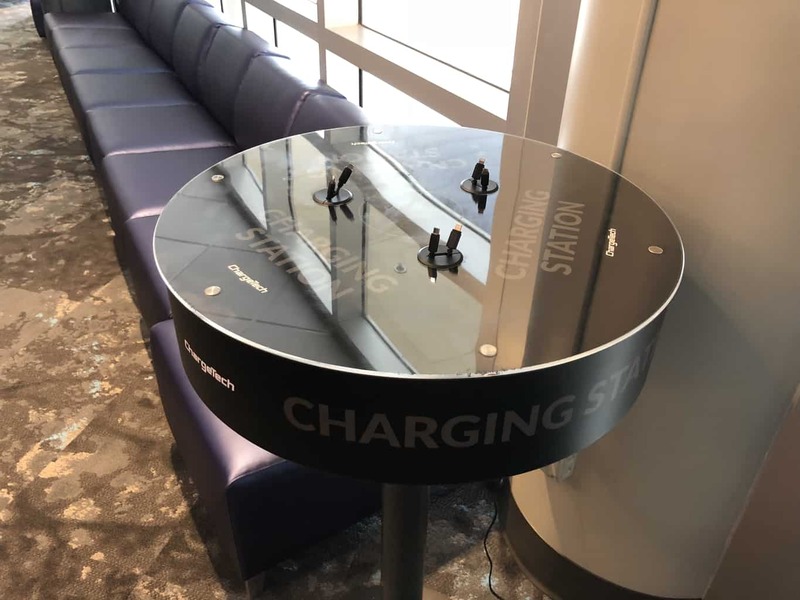 If you’re not familiar with Ocean Medallion, it is a collection of new services focused on improving the guest experience leading up to and through their cruise vacation. 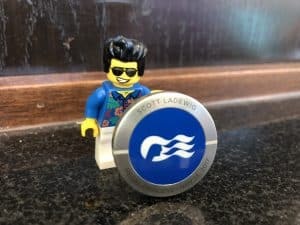 It is centered on the Ocean Medallion itself, a small wearable device that used RFID and Bluetooth to allow the crew, passenger, and ship to interact on a level that hasn’t been available before. That is the idea at least. I’ll talk a bit about what Ocean Medallion is and can do, but for additional detail, you can learn more about Ocean Medallion on Princess’ website. If you have been on a Walt Disney World vacation in the last several years, you have experienced their MagicBand, a wristband that acts as your room key, charge card, and park admission. The MagicBand is coupled with My Disney Experience, a website and apps, that let you customize and plan your Walt Disney World vacation. Ocean Medallion is a similar concept. That isn’t surprising considering that the creators of the MagicBand at Disney are now with Carnival Corporation. The goals for Ocean Medallion, however, go far beyond what Disney is currently doing with MagicBand and My Disney Experience. For example, your Ocean Medallion will also serve as your cabin key and charge card, but rather than needing to tap in, devices will respond as you approach them without the guests having to take any specific action on their own. Walk up to your cabin and the door unlocks. Walk up to one of the many 4K touch screens around the ship to interact with your personalized avatar (called a Tagalong by Princess), get directions, view your custom schedule, find out where your family and friends are on the ship, or play games just to name a few. You will even be able to order a drink from your lounger on the sun deck and have it delivered right to you. As I said earlier, this is the idea of how it should work. The real question is how it actually worked on this first cruise. As it turned out, we nearly didn’t get to try out the Medallion at all. We booked this short preview cruise over a year ago when it was originally announced. 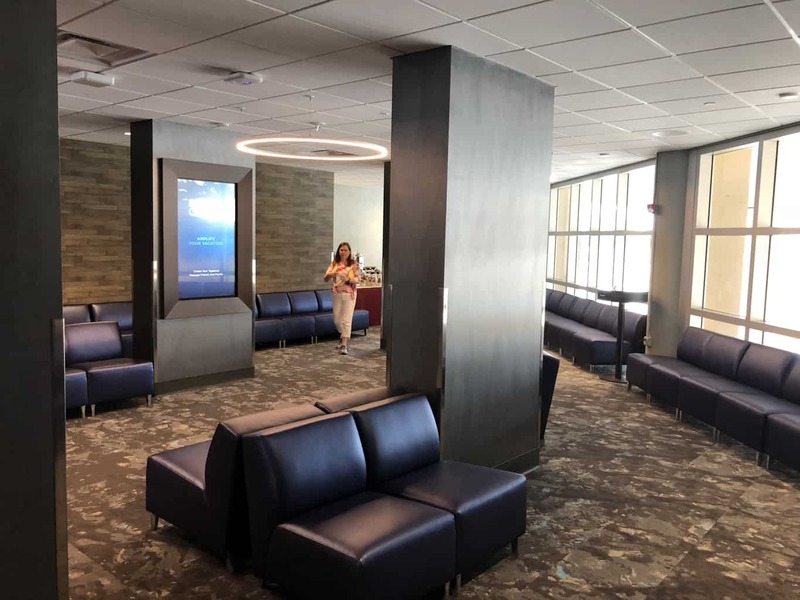 It was booked as THE preview with a heavy focus on members of the media and travel agent partners to give them a firsthand look at the tech in operation. 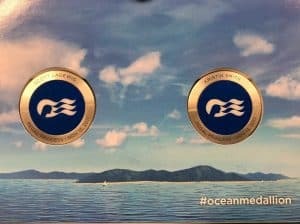 About a month ago, however, we received news that the media preview had been cancelled, and the Ocean Medallion test would be limited to a small number of cabins, and all of the cruises on Regal for the next few months would be previews. 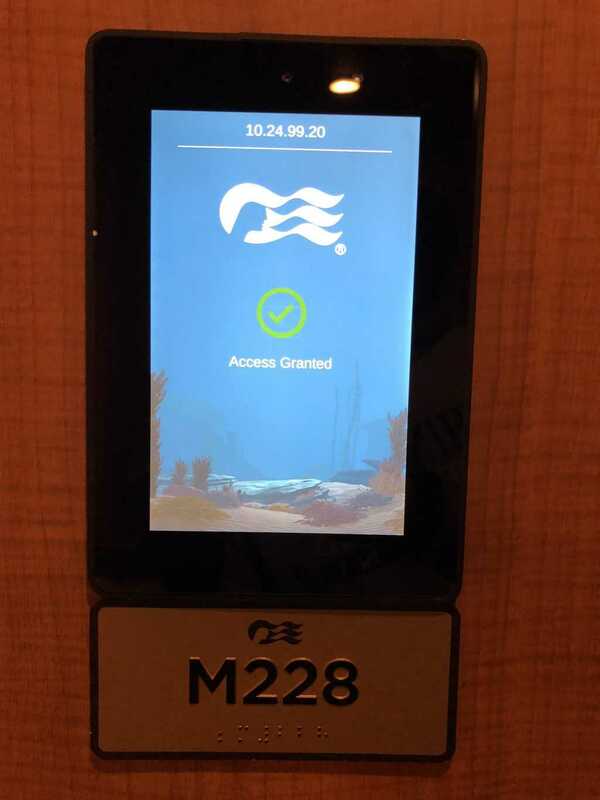 As testing progresses, they said they would expand the number of cabins equipped for Ocean Medallion. We were disappointed to learn that our original inside cabin would not be part of the test. Over the next few weeks and a couple of phone calls to Princess, they moved us from an inside cabin to an obstructed view balcony and finally to a deluxe premium balcony. Customer Relations did a great job in accommodating us to help make up for the changes. The large number of empty cabins on this cruise (thanks to it only being two days as well as the delay for a media event) made this easier for them I expect. At the time, Princess had said that they would not be able to provide any more upgrades for our booking. 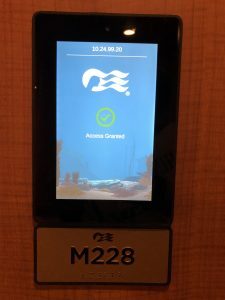 About a week before we were going to sail, however, they called to ask if we were willing to move to a mini-suite that was Ocean Medallion enabled. A mini-suite at no additional cost and the Ocean Medallion? That’s a no-brainer decision. Please note that Ocean Medallion is a work-in-progress, and the experience I describe is probably (hopefully) already out-of-date. With that disclaimer out of the way…. Normally you will receive your Ocean Medallion in the mail before your cruise, but because we were added so late, we picked up our Medallions at the port. We arrived at Terminal 2, the usual departure point for Princess. 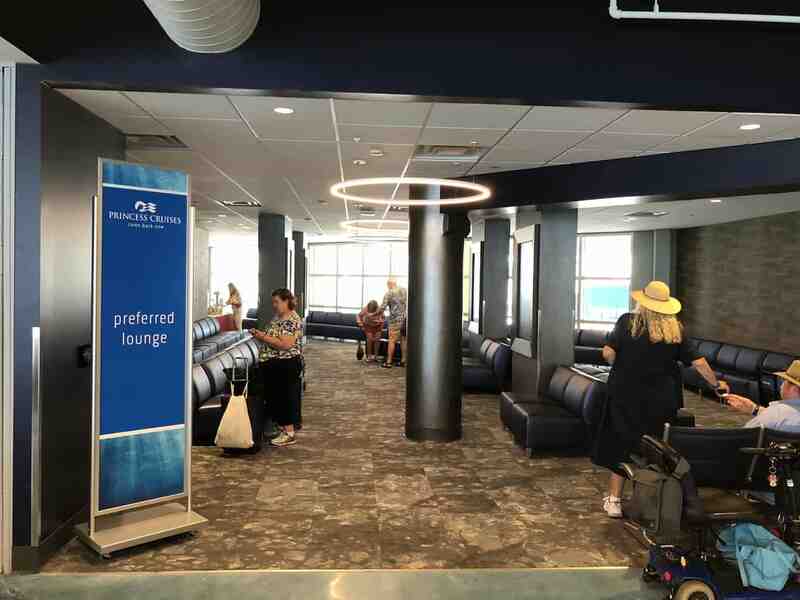 As part of the Ocean Medallion project, the terminal has received a huge facelift. This space has always been very utilitarian, think industrial bus terminal. Functional, but not inviting or relaxing. That has completely changed. 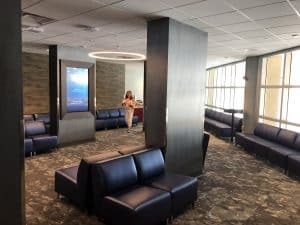 The terminal has new spaces, new color (a soothing blue), and new experiences like the Ocean Gateway and OceanView Theater. 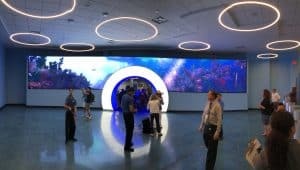 The Ocean Gateway is a huge screen that surrounds a short tunnel (shaped like a Medallion) that you walk through to enter the waiting areas. 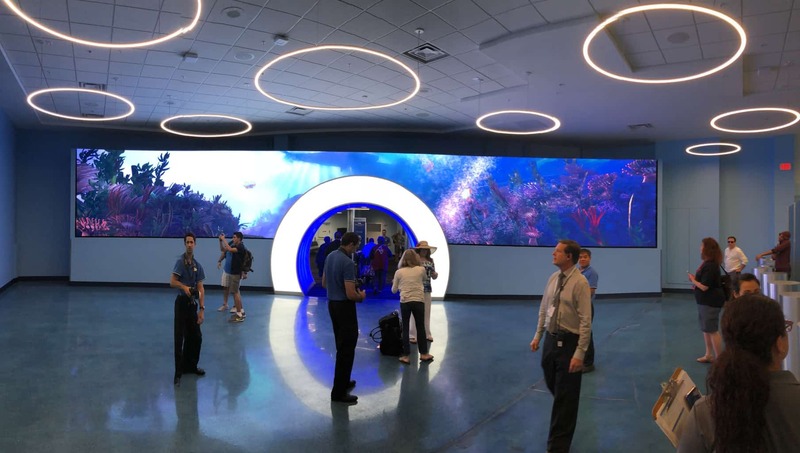 The idea is that as you approach the display, your name and Tagalong (a personalized sea creature avatar – a butterfly fish, seahorse, or sea turtle – that you create in the SocialOcean app) will appear on the screen. This didn’t work for us, possibly because our Medallions were still in the box. We did see it work for a few others, however, and this will be fun the next time we see it. After the gateway is the general seating area, along with the OceanView Theater. The OceanView Theater shows original Carnival Corp programming to pass the time while you wait to board. We didn’t stop here though. We were moving onward and upward. We bypassed the theater and were whisked up to the preferred lounge (for platinum, elite, and suite guests). There we waited for our backup cruise cards before boarding the ship. 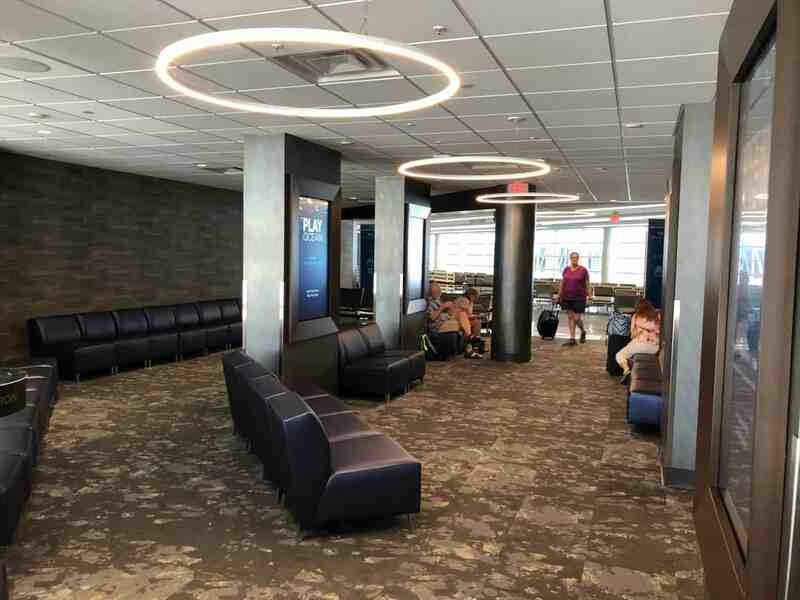 The preferred lounge is quite comfy with breakfast snacks and coffee to enjoy while you wait. We unboxed our Medallions here for our first look. 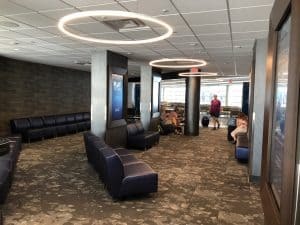 Preferred Lounge in Terminal 2. The unboxing experience is similar to what you have with the Disney MagicBand (not surprisingly), albeit a higher quality presentation in materials. Your Medallions are there on the top, and underneath you will find your complimentary wristbands. The Ocean Medallion has your name and voyage engraved on it, so this serves as a souvenir after the cruise. You will not reuse these as you might with a MagicBand. The Medallion color will eventually match your loyalty level, but for now, everybody gets blue. They’re quite light, much more so than I expected. 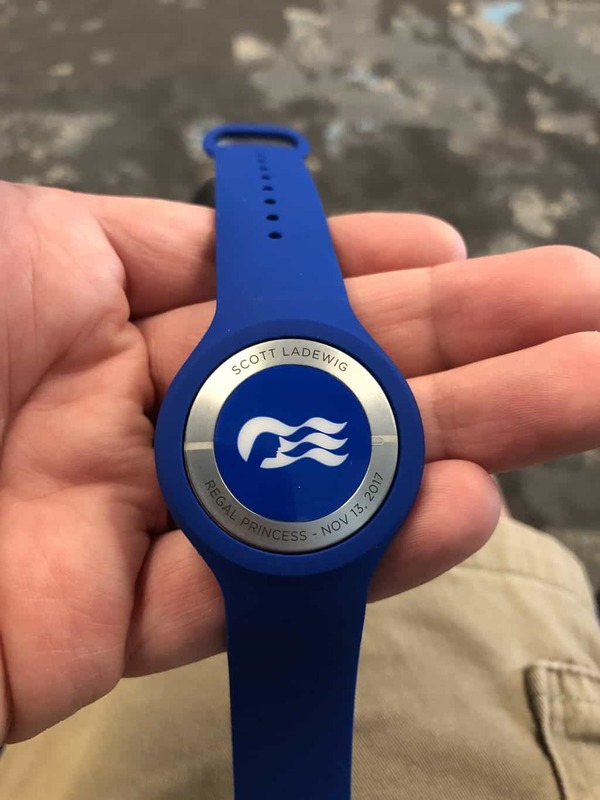 A magnet in the wristband holds the Medallion securely, but it is easy to remove as needed for other accessories they will be selling (upgraded wristbands, bracelets, necklaces, etc.). The wristband itself is very comfortable, made of a soft rubber material. Unfortunately, this soft material also meant that it was very easy to knock the wristband loose by bumping it or catching the edge on things. This was a problem with the original Fitbits whose bands would come undone just by looking at it the wrong way it seemed. They need to make some adjustments there if they don’t want people losing their Medallions. Ocean Medallion in the complimentary wristband. Being able to simply walk up to security and have them check you in via the Medallion will be a great experience, but unfortunately it wasn’t working when we boarded the ship. In the end they scanned our cruise cards as usual. The locks on the door are supposed to unlock the door as you walk up to your stateroom. This did not work for us the first time we went to our cabin. Nor the second. Or the third. In the end, this worked for us once on the first day, but that was the only time it did. We had our cruise cards as a backup, but at first that didn’t work either. The locks have no obvious place to tap the key, so we were not sure what to do. The screen outside the door didn’t give any indication other than to say the door was locked. 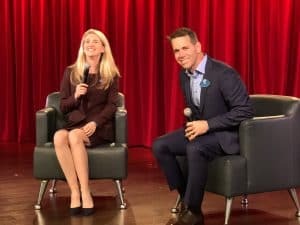 Over the course of the cruise, the panel appearance did change. The IP address that was displayed was quickly replaced with the stateroom number. The display also changed to show the outline of a cruise card along with a message to tap the card there to unlock the door. That worked for the rest of the cruise. Somebody from Carnival told me that the doors had been working without issue the week before, but an update was pushed the morning we boarded (to correct the cabin name display), and that’s when things quit working. Our stateroom portal. Locked with IP address instead of cabin number. We saw the Medallion tablets at the bars and shops, but we used our cruise cards each time. We asked about using the Medallion but were told that they were not working at that time. Touchscreen displays are everywhere around the ship. Most of the time they were running information slides or the current deck plan along with listings for locations on each deck. At times, however, they were in an interactive mode similar to what you see while logged in to the SocialOcean app. In this mode, you could select an interactive display of the ship’s voyage. By scrolling left and right on the screen, you could see a timeline of events and locations from the cruise. The display changed to reflect the actual time showing the ship and area as they appear at that time of day. 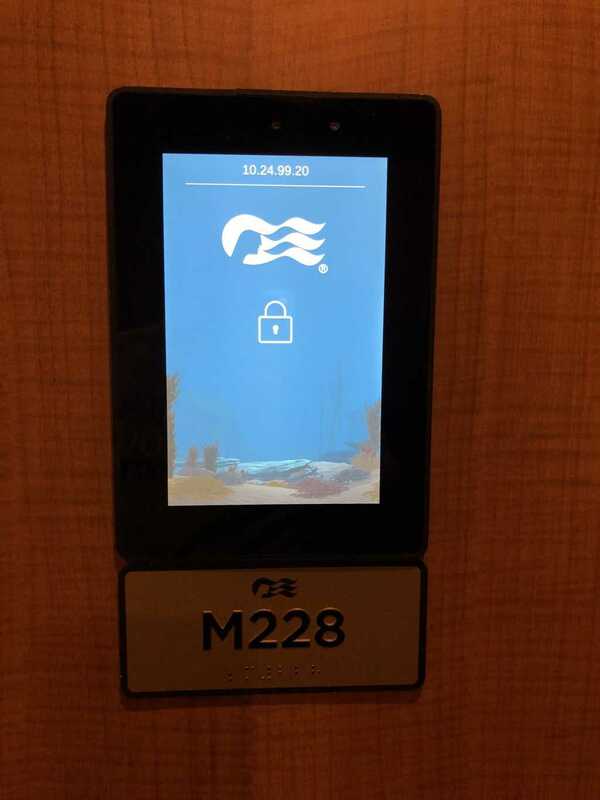 You could also logon to your Ocean account and bring your Tagalong to the screen and interact with it. The scene where your Tagalong was swimming reflected the location selected on the interactive ship’s voyage. It’s a small touch, but it was fun. Normally the Tagalong should just appear as you walk up to the screen, but that wasn’t working when we tried it. There were swarms of people working on these displays all across the ship during the cruise. We were told there will be an interactive 3D wayfinding feature to find your way around the ship as well. It will be interesting to see what else they add to the displays. There seem to be enough in each area that it should not be an issue finding an open display to use. Unfortunately some of the touted functions such as Here and Now™ and There and Then™ were not yet available. We will have to wait until a future cruise to experience ordering a drink and having it delivered to our location. Other passengers reported that the Medallions were working in the casino. We didn’t do any gambling this trip (we rarely do), so we missed this opportunity. With everything that was not working with the Medallion, you might wonder just what did we get to try out. The new displays in the staterooms are quite nice, with an easy-to-use interactive menu. They are also touchscreens, but that functionality was not working during our cruise. Collectively leverage the leading global satellite operator’s geostationary earth orbit (GEO) and medium earth orbit (MEO) constellations, managed services, antenna and shipboard technology to significantly enhance the guest experience by providing high performance and reliable broadband connectivity at sea. Interestingly enough, Royal Caribbean’s high-speed internet service VOOM is provided by O3b Networks which was later acquired by SES. They use slightly different approaches to deliver their high speeds. You can learn more in a recent TravelPulse story by Jason Leppert (“A Complicated Race to the Best Cruise Wi-Fi”). The introductory price for Medallion.Net our cruise is $9.99 per device per day or $29.99 for up to 4 devices per day. Captain’s Circle Platinum and Elite guests received MedallionNet at no cost. It was stated during an Ocean Medallion Q&A during the cruise, that it will continue to be complimentary for Platinum and Elite guests. No decisions have been made if this will be a permanent benefit, but I hope that it does remain. 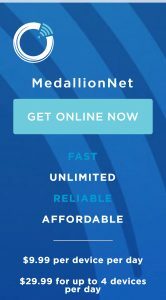 I used MedallionNet extensively on my phone and laptop, and it was amazing. 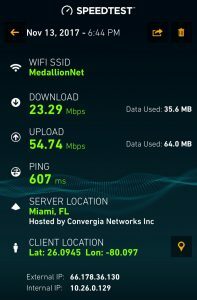 I ran SpeedTest a few times during the cruise, and consistently saw speeds of 20-30 Mbps down. 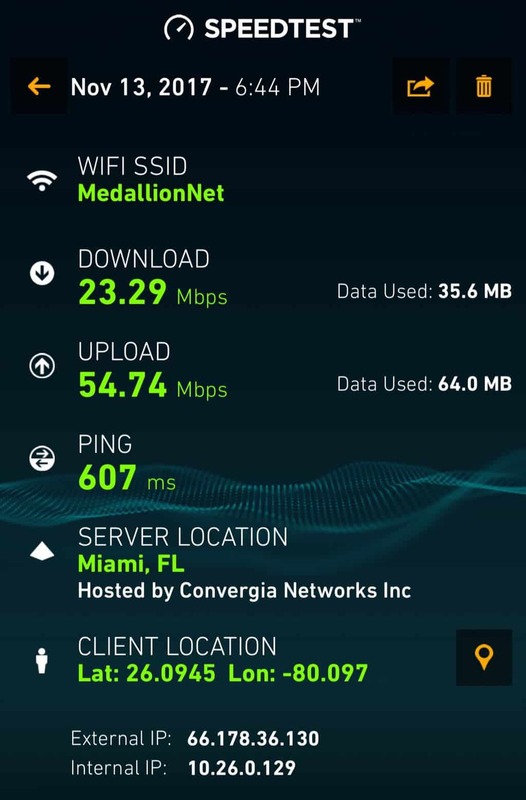 Upload speeds were comparable. At one point I had to do something for work, and connecting to our VPN and using Remote Desktop was flawless. Performance felt as good as when I’m working from home. I wonder if I can convince my boss to let me work-from-ship full-time. 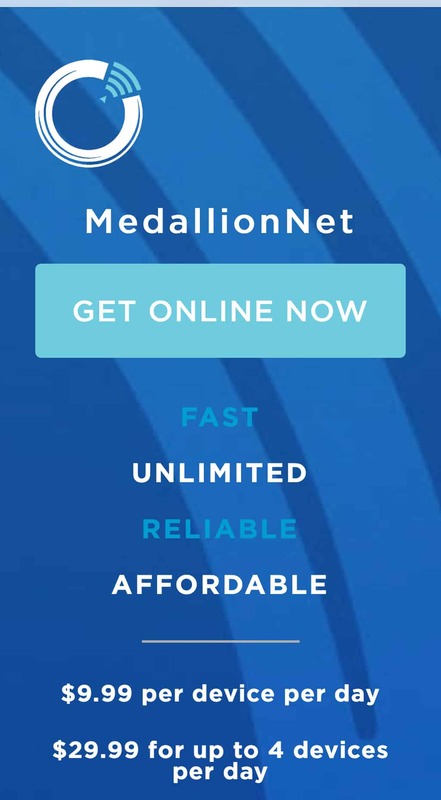 After you connect to the MedallionNet network, you have to go to Login.com in a browser. There you enter your cabin number and birthdate to identify yourself. Then you can either purchase an internet plan or use any complimentary credits you may have. After doing that you click the connect button when going online later. If you have multiple devices (phone, tablet, laptop, etc.) but your plan only allows one device, you are prompted to disconnect and use your current device as you switch between them. I could not find an option to logout as found on Princess’ traditional metered internet service. I had to periodically re-connect to MedallionNet by opening the Login.com page and logging in again. Hopefully they address this at some point; the fewer steps needed to connect, the better. It is well worth the effort though for consistently high-speed access. Princess is also providing access to some popular messaging services at no cost when connected to MedallionNet Wi-Fi. You can access Facebook Messenger, What’s App, WeChat, and iMessage all at no charge. I am curious to see if they add an additional plan at a reduced cost that offers access to popular social media sites such as Facebook, Twitter, and Instagram. The $9.99 plan is already quite affordable, but those sites would probably be sufficient for many passengers. 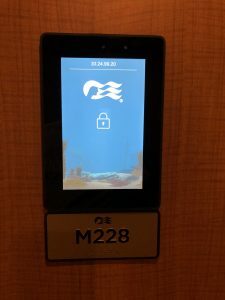 You might think from everything that wasn’t working with the Ocean Medallion that I was disappointed. That is definitely not the case. 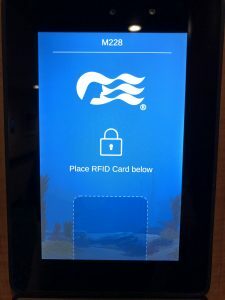 I went into this cruise with the full understanding that this was a preview of a new technology being used by paying customers for the first time. There was no guarantee of what would be working, and Princess was quite open this cruise about the work-in-progress state of the deployment. Jan Swartz (Princess President) and John Padgett (Chief Experience and Innovation Officer) doing a Q&A for Ocean Medallion guests. Of course, we didn’t know just how much of a work-in-progress it was going to be when we booked. At the time we expected the entire ship to be using the new technology; that’s how it was promoted. It wasn’t until after final payment that we learned that the rollout had been slowed and scaled back. Ideally that decision should have come before final payment was due, but I give Princess points for how they handled the situation. Others may disagree, but we paid less for our cruise, wound up in a mini-suite, and still were able to be a part of the test, so it worked our well for us. I also want to give kudos to Jan Swartz (President of Princess Cruises), John Padgett (Chief Experience and Innovation Officer, Carnival Corp.), and Michael Jungen (Senior Vice President, Guest Experience Design & Technology) for being so accessible during the cruise. Whether through formal Q&A sessions or one-on-one conversations, it was great to hear from them about the overall program and to share our feedback with them. I’m hopeful that the Ocean Medallion rollout moves along at a rapid and problem-free pace over the next several weeks. If you have sailed on her and used Ocean Medallion, please leave a comment and share your experience.